The National Telecommunications and Information Administration urged the FCC today to reject industry complaints about a coordination process included in a draft fifth report and order that the FCC plans to consider at its meeting tomorrow to give the Department of Defense access to the 37.6-38.6 gigahertz band when the 37.0-37.6 GHz band is not sufficient. In recent ex parte filings, CTIA and major carriers argued that the military can access additional spectrum on the secondary market and that the FCC shouldn’t dampen enthusiasm to bid on the spectrum at auction by permitting additional military access before or after a sale (TR Daily, April 5 and 8). “The 37-38.6 GHz band is still allocated on a primary basis to federal and non-federal fixed and mobile services and the federal Space Research Service (space­to-Earth) (SRS),” NTIA said in its filing in GN docket 14-177 and AU docket 19-59. “In July 2016, NTIA recommended to the Commission ways to share this band with non-federal licensees and measures to adequately protect federal operations in the 37-38.6 GHz band and in the adjacent 36-37 GHz band. The Commission adopted these recommendations in the Spectrum Frontiers 1st R&O in pursuit of meeting ‘the twin goals of expanding commercial access in this band while facilitating continued and expanded Federal use.’ Specifically, it established the recommended coordination zones throughout the entire 37-38.6 GHz band for the 14 military sites and three scientific sites identified by NTIA, noting that Federal agencies still had the ability to add future sites on a coordinated basis. 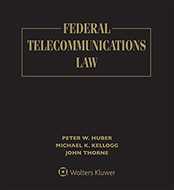 “With regard to the Upper 37 GHz band, the Commission last June sought comment on ‘how best to accommodate coordination zones for future Federal operations at a limited number of additional sites.’ As we conveyed earlier in this proceeding, NTIA cautions against establishing any new, overly restrictive coordination processes, which could have an adverse effect on the development of new services and next generation technologies for both federal and non-federal applications. We also noted the ongoing challenges federal agencies face to precisely define the extent and location of their future federal operations under the current U.S. Table of Frequency Allocations. DOD and the private sector are collaborating on multiple fronts to advance spectrum-based technologies for 5G and beyond,” NTIA added.